The Research and Policy Specialist will coordinate and supervise implementation of research and policy dialogue programs, ensuring that these programs are of the highest quality standard. The Research and Policy Specialist reports to the Chief Executive Officer. Support the CEO in developing new projects and policy ideas as part of the UONGOZI Institute’s future research and policy dialogue programs. Manage and deliver high quality and policy relevant research and policy dialogue programs. Disseminate research projects through written reports, media articles, blogs and presentations. Engage with stakeholders including government, farmer organizations, development partners, the private sector, the voluntary sector, academia and the media to support and inform on UONGOZI Institute’s research and policy dialogue programs. Represent UONGOZI Institute at seminars, conferences and other public events as well as events run by partner organizations. Monitor and keep the team informed of external policy developments relevant to UONGOZI Institute’s research and policy dialogue programs. Work closely with other Head of Departments on the roadmaps and plans to support implementation of UONGOZI Institute’s Strategic Plan. Help to institutionalize collaborative programming with UONGOZI Institute stakeholders and implementation partners. Provide guidance to and manage work output of the Researchers and Policy Analysts within the department, and contribute to their performance reviews and planning for their continued professional development. Participate in a collaborative team environment with dynamic project settings. Embrace results measurement approaches to all projects undertaken for effective donor reporting. Develop and submit funding proposals for the purposes of Resource Mobilisation. Any other duties as requested by the CEO. Master’s in Social Sciences or related discipline with at least 10 years of experience in a similar position with leadership experience. Strong background in local and international environment, and knowledge on how private and government systems operate. Excellent qualitative and quantitative research skills and experience of using a range of research techniques. Thorough knowledge and understanding of public (social and economic) policy processes and proven project management skills and experience in designing, managing and delivering high quality outputs on time. An application with Curriculum Vitae (CV) including email and phone details. Plot No. 62, Msasani Road, Oyster Bay. UONGOZI Institute is an equal opportunity employer. We regret that we will not be able to contact unsuccessful applicants. Operating under the auspices of the Office of the President of the United Republic of Tanzania, UONGOZI Institute was established by the Government of Tanzania in 2010. The Institute provides training to leaders from Tanzania and beyond, organizes high-level policy forums and dialogues, and carries out research on leadership and sustainable development. Through our training programmes, leaders acquire the skills and knowledge to understand the complex world of choices, to make sound and strategic decisions that can envision the future and to enhance their personal leadership qualities. The training solutions are both inspiring and empowering, delivered by national, regional and international experts using the best mix of learning methodologies for adult learning. The main responsibility of the Trainer is to support the Training Department in the designing, development and evaluation of Leadership Development Programmes. In addition, the Trainer will conduct research on areas of leadership development and sustainable development. The trainer reports to Head of Training. Supporting the Capacity Development Department in designing, developing, delivery and evaluation of Leadership Development Programmes. Supporting the preparation of learning and training materials in collaboration with UONGOZI Institute’s approved facilitators and consultants. Playing an active role in assuring the quality and relevance of learning and training materials according to the identified needs of UONGOZI Institute’s clients. Ensuring developed programmes align with UONGOZI Institute’s approved Leadership Development Framework. Conducting research on relevant issues in line with the leadership development strategy, and other UONGOZI Institute focus areas. Staying abreast of new developments in research as they relate to leadership programmes. Working closely with local, regional and international experts to ensure programmes are delivered as per the UONGOZI Institute mandate. Working closely with the Training team and other departments and units to ensure timely delivery of services. Collaborating with other institutions that may add value to UONGOZI Institute’s programmes and maintain relationships as appropriate. Performing any other duties or assignments as directed by his/her supervisor. Master’s level degree in social sciences, or any other closely related field. Five years’ experience in designing, developing, and evaluating training programmes for adults or other senior level staff. Knowledge and prior application of adult learning theories and methodology with a proven track record in coordinating programmes for adult learners. 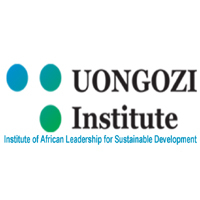 A strong understanding of UONGOZI Institute’s Leadership Development Programme. Experience in conducting research on areas of Leadership Development as an added advantage. An application with Curriculum Vitae (CV) with current email and phone number.